Guide Falls is a small, amphitheatre – style waterfall, with a small tier at the top and then the largest falls drops into the naturally formed amphitheatre with steep cliffs surrounding, with continuing cascades located further down the Guide River. A deep hole directly below the falls provides for a great swimming hole in summer. 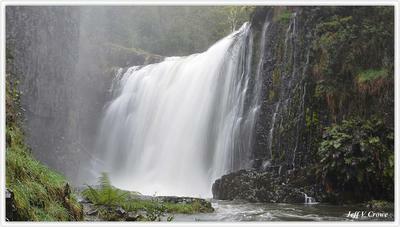 The falls have water year round but are most spectacular in winter and spring when Tasmania’s rainfall is at its greatest. Situated at West Ridgley, a short 15 kilometers south of Burnie.